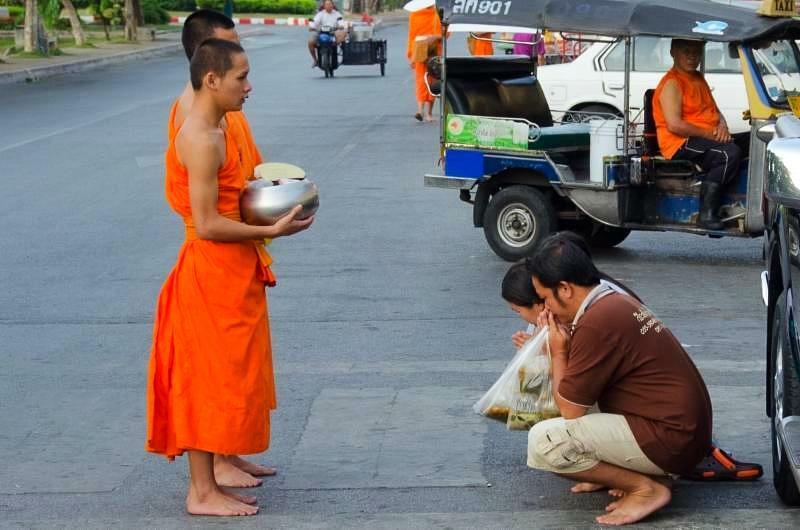 In previous blogs, we have discussed the Thai concept of making merit (tham boon) by offering sustenance to Buddhist monks in the morning to provide their nourishment and other needs for the day. 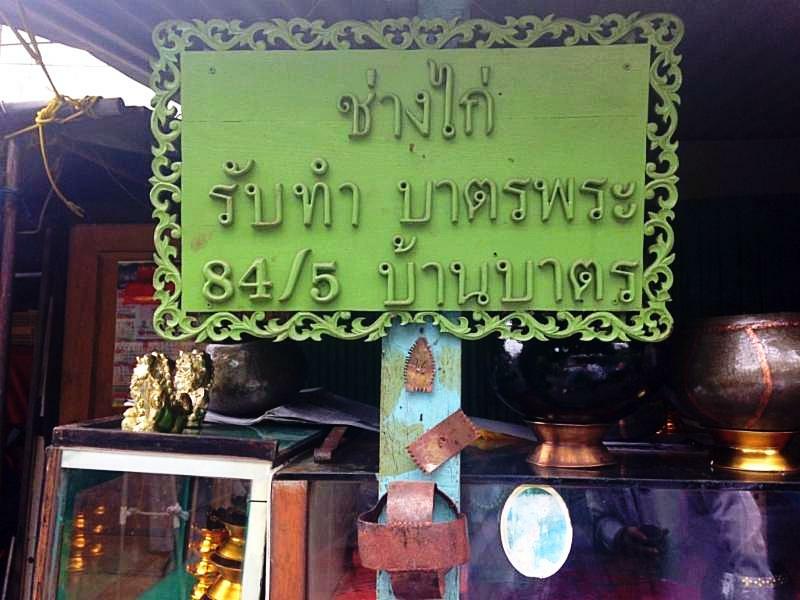 Lay Buddhists offer the food to pay their respect to Buddhist monks. 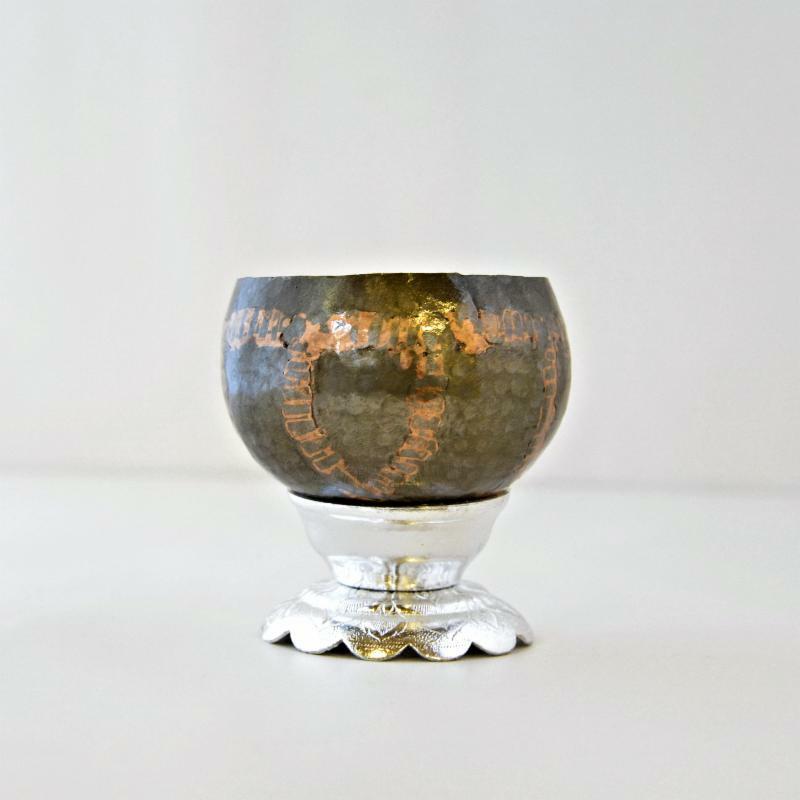 Therefore, an alms bowl (bat) is a very significant possession for a Buddhist monk. 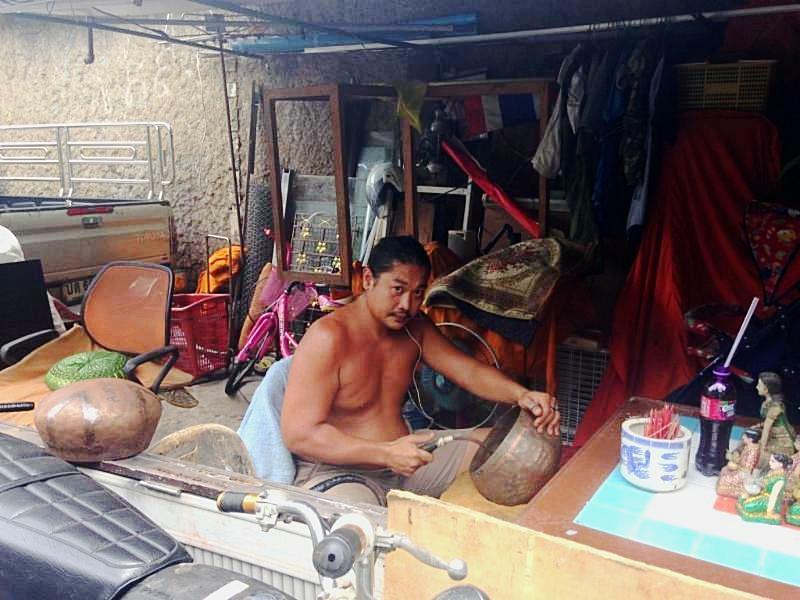 In a small village in Bangkok, the Baan Bat (home of the alms bowl) community continues to make alms bowls as they have for over 300 years. 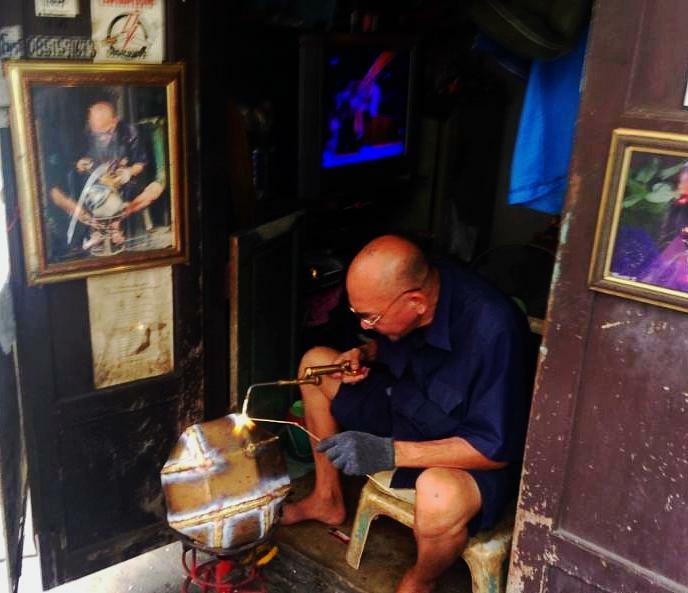 Moreover, the technique is much the same over this period utilizing the ancient method of crafting them from raw steel using their hands and a hammer. Welcome to Baan Bat - the home of traditional alms bowl craftsmen which remain one of a kind as most bowls are made in factories today. The first introduction is a wonderful "wai" welcome from one of the many family members. The process involves cutting steel, soldering steel and hammering the result. 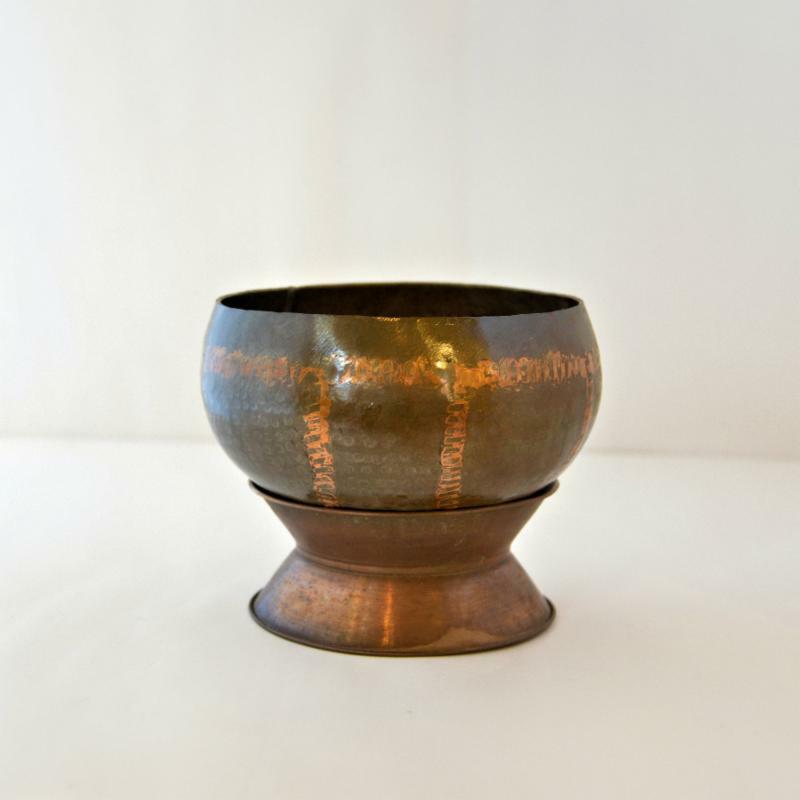 Initially, eight pieces of individual steel are soldered together to form the bowl which are said to represent the eight steps by Buddha to achieve enlightenment. You will also observe that both the young and the more senior members of the craftsmen family participate in the process. Strength and dexterity are required in this lengthy process as a large bowl can weigh over four pounds. You can only imagine the heat involved in this process in a tropical climate. Each step is completed in a separate house along the pathway. 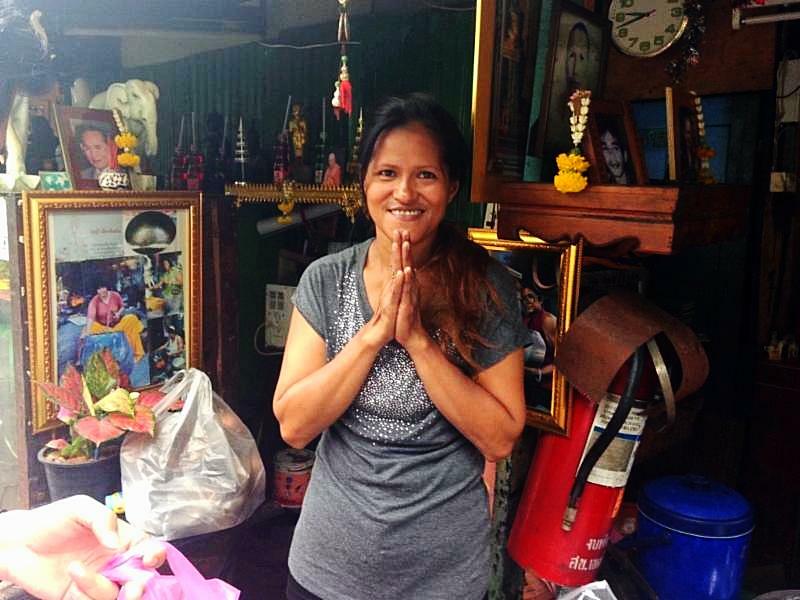 Many people have lived in Bangkok their entire lives and not visited this wonderful village. Therefore, put it on your list while the craft is still being practiced. 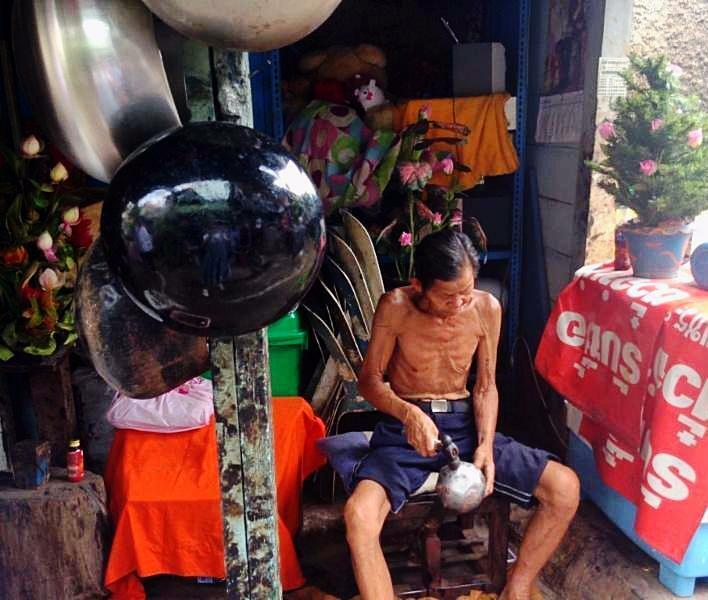 Moreover, you could always purchase a bowl and gift it to a young novice Buddhist monk. 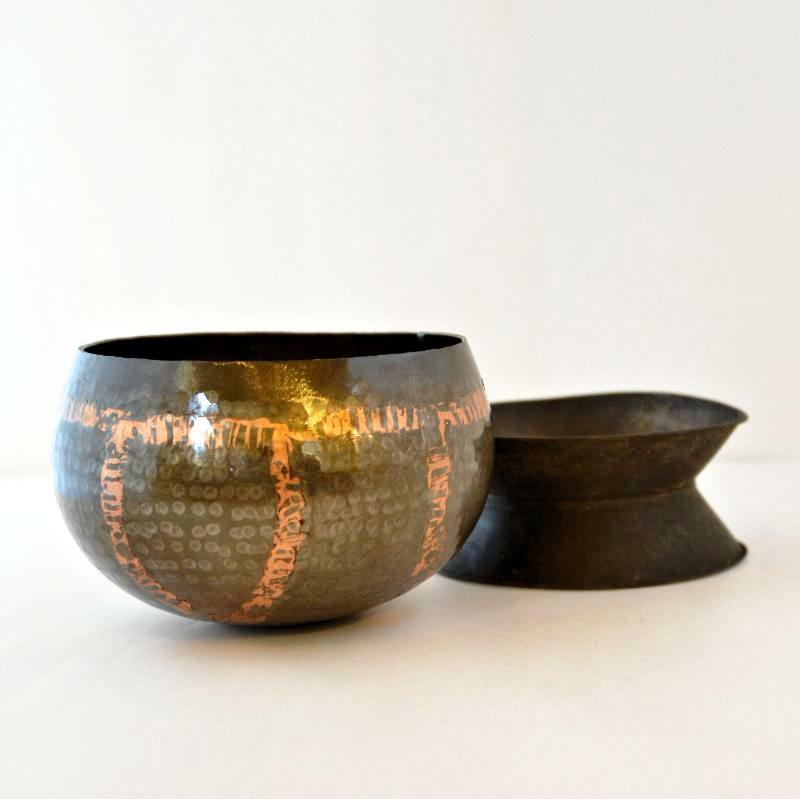 The begging bowl or alms bowl is one of the simplest but most important objects in the daily lives of Buddhist monks. Primarily a practical object, it is used as a bowl in which to collect alms (either money or food) from lay supporters. 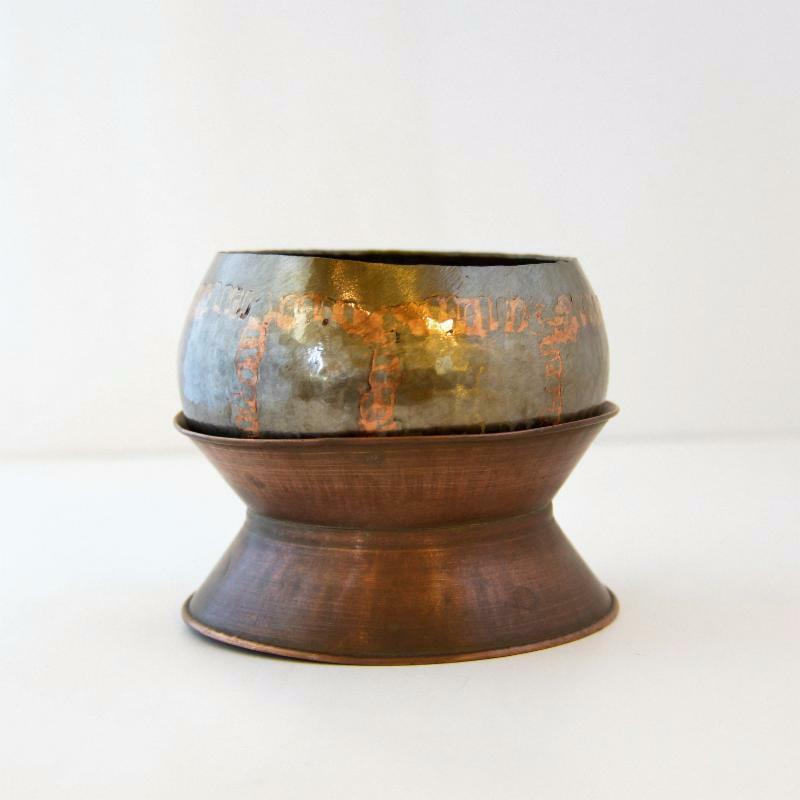 Handmade in Thailand, the bowls are constructed from eight pieces of steel, invoking the eight spokes on the Buddhist Wheel of Dharma. 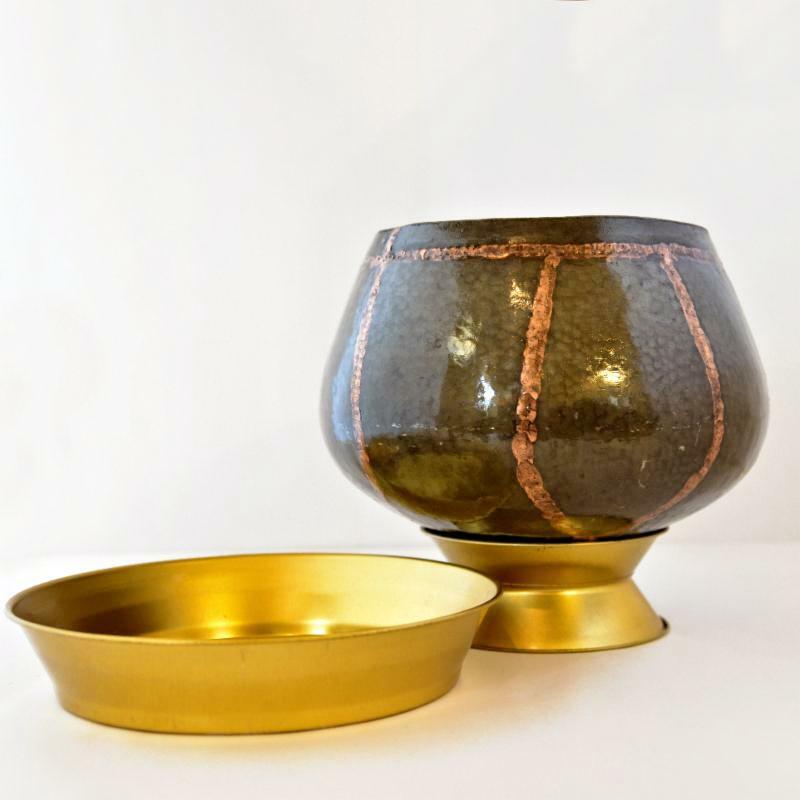 The seams are then fused with copper to give them their distinctive pattern and finished with a clear lacquer finish.